Living in New York doesn't always go your way: You can hit a monster traffic jam, get sucked into a reply-all nightmare at work (it's called bcc, people! ), or worse… your favorite takeout joint messes up your order. But, there’s a lot that can go right here, too. There are little triumphs to find around the city and the entire state -- you just have to know where to look. So we compiled a list of all the ways to win in New York, from scoring dirt-cheap tickets to free museum days. Start practicing your victory dance now. 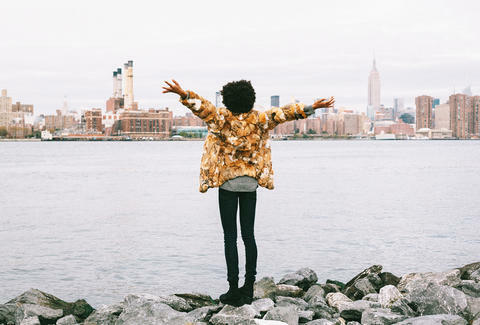 In New York, your “look” is as important as how close your apartment is to the subway stop -- and there’s nothing more victorious than finding an amazing steal. The city’s thrift shops and consignment stores are fashion gold mines (because, hello, everyone here dresses well). 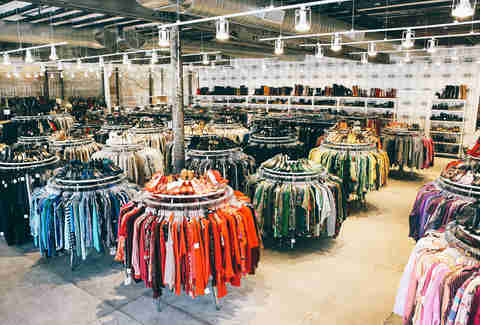 Beacon’s Closet -- with locations in Brooklyn and Manhattan -- is one of the best places to find designer goods for cheap, while L Train Vintage is great for ’80s and ’90s styles. To score unique duds outside the five boroughs, head to Vintage Clothing Out of the Past in Kingston -- it’s been in the business of buying and selling retro fashions for more than 30 years. Or, there’s Rock City Vintage in Woodstock, offering a curated collection of vintage and designer finds. If you want to dress up your home, Housing Works (multiple locations) auctions off items like furniture and decor. But the best home-goods finds are upstate: The Hudson River Valley is prime antiquing territory thanks to shops like Antiques at Rick's Barn, a 10,000 square foot space where you can literally find treasure, if you’re willing to dig around a bit. Or Jimmy Fallon. Or Seth Meyers. For exactly $0. Proving that rubbing elbows with celebrities isn’t reserved for the 1% -- at least not in New York, anyway -- all of your favorite late night shows (and daytime, for that matter) are taped in NYC and need studio audiences. All you have to do is request tickets in advance, which is as simple as emailing casting sites like 1iota or sending a request directly through the show. Each is a bit different, and, depending on who you want to see, may take some advance planning. (NYC’s official guide has a good run down on specifics.) Most of these tapings happen during the week, and you’ll have to show up a bit early to get prepped, but trust us: Skipping out of work early is totally worth being able to tell your friends you were on set for The Tonight Show when Channing Tatum showed up. While you may not be able to afford a 15-room mansion complete with a library (or really, an apartment with laundry in the building), exploring some of upstate New York’s grandest homes will have you living large -- at least for a day. Springwood, a 300-acre estate in Hyde Park, is full of gardens and trails, and served as the home of President Franklin D. Roosevelt. (The estate houses the first Presidential Library, too.) 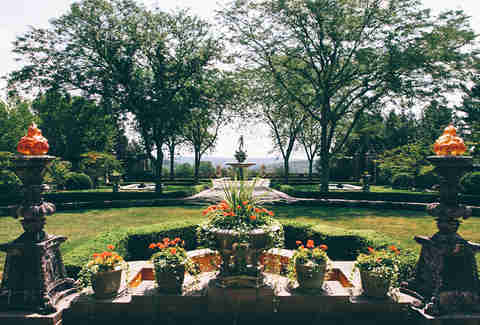 Sixty miles down the Hudson River, in the town of Sleepy Hollow, you’ll find Kykuit, the Rockefeller estate that houses his private collection of artwork (Pablo Picasso, Henry Moore) in underground galleries. There’s more than art down there, though: The subterranean Coach Barn is where John D. Rockefeller kept his classic automobiles and horse-drawn carriages -- sort of like a turn-of-the-century Bruce Wayne. Is there any better prize than money? The New York Lottery’s 55 scratch-off games give you the chance to win cash just about anywhere, whether you’re picking up a ticket on your way home from work, when you’re heading to get a blowout, or while out walking your precious pooch, Mitsy. Even if you don’t win the top prize, $10, $20, or $50 more than you had in your pocket before always counts as a victory. And hey, since we let you in on this tip, maybe you should consider sharing your earnings… We’re cool with a free pizza. Are you one train delay away from leaving the state? Spending more time sitting in traffic than with your friends? Taking a breather in fresh air can feel as rewarding as spending your bonus on an online shopping spree after a particularly rough week (and it’s easier on your wallet). 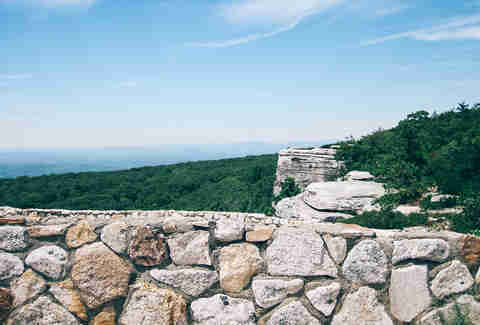 The town of Cragsmoor, about 80 miles north of Manhattan, is home to Sam’s Point Preserve, which is located on the highest point of the Shawangunk Mountains, and boasts panoramic views of Lake Maratanza, ice caves that are open to the public, and trails that take you past a 187-foot-tall waterfall. Farther upstate, Adirondack Park -- comprised of 6 million acres of protected land in northern New York -- is one of the best spots in the country for peeping fall foliage, as well as a naturally beautiful camping and hiking destination year-round. Plus, there are plenty of local farms in the Adirondack Region to visit, perfect for when the only way to turn a bad week into a triumph is cute animals or lots of maple syrup. So you’ve been entering the Hamilton lottery for over a year now and still nothing, huh? We feel your pain. Even non-Lin Manuel Miranda shows now average $109 a ticket, meaning that date night or a family outing can cost you -- eek! -- several hundred dollars. But for those willing to wait (in line) for it, the Theatre Development Fund’s TKTS Booth offers same-day tickets to many Broadway hits at up to 50% off. The Times Square booth opens up evening performances at 3pm (the line starts queuing an hour beforehand); if you want to nail down plans earlier, visit their Downtown Brooklyn, South Street Seaport, and Lincoln Center locations, which open at 11am or noon. Then relax until curtain time, when you can relish in the joy that comes from knowing you paid half as much for your seat as the person sitting next to you at Dear Evan Hansen. 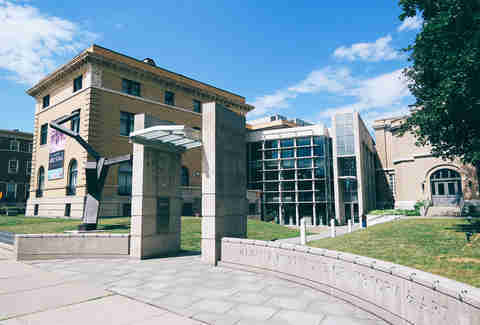 New York State is loaded with artistic masterpieces, but you don’t need to be a gallery owner or private collector (or willing to pay a $20-plus museum entry fee) to spend the day admiring these works. The Frick Collection, an art museum housed in an Upper East Side Gilded Age mansion that carries works by Rembrandt, normally costs $22 per person to take a peek, but on Wednesdays from 2-6pm, it’s pay-what-you-wish and on the first Friday of every month, it’s totally free. If you’re upstate, take advantage of a similar deal at the Albany Institute of History & Art, free on Thursday evenings and federal holidays. Also upstate, Omi International Arts Center -- a 300-acre sculpture garden surrounded by lush greenery, in the town of Ghent -- is free and open to the public year-round. Back in the city, modern art galleries line West Broadway in Soho, and they’re an easy way to escape the tourist crowds while taking in some original Keith Haring paintings. (Call it window shopping for your future estate, if you will). In Chelsea, Thursdays are always gallery night, where more than 50 of the neighborhood’s galleries open their doors to the public (and even offer complimentary drinks and cheese). Free food and top-notch art? Definitely a victory.